Why do we need professional fluoride treatments when we have fluoride toothpaste and fluoride mouthwash at home? 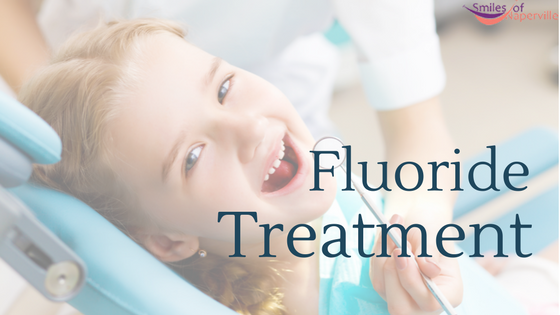 Professional fluoride treatments are recommended in order to prevent tooth decay and make teeth more resilient to plaque, sugar and other bacteria in your mouth. Fluoride is a mineral that helps restore and build a tooth enamel layer. Fluoride is not only in your tooth paste or mouthwash, it’s also found in a variety of different foods and in water, which contributes to the restoration of tooth enamel. Fluoride is also used in order to reverse decay. Dry mouth (Xerostomia): Lack of saliva caused by medications and certain medical treatments. Gum disease: Gingivitis or periodontitis, exposes the tooth and the roots of your teeth to bacteria. Cavities: Tooth decay that leads tooth rotting. Fluoride treatments help restore, strengthen, and build tooth enamel and prevent tooth decay. This particular treatment plays an important role in the caring for your teeth because it cleans, strengthens, and restores your current teeth. Additional home fluoride treatments (brushing and rinsing) are also very useful and effective when it comes down to the life of your teeth. Always remember, additional home fluoride treatments are very useful when it comes down to the life of your teeth.